Brewdog should not have used the phrase 'Beer for Girls' when it released a limited-edition beer to provoke discussion around International Women's Day, the self-regulatory drinks industry body Portman Group has ruled. The group’s independent complaints panel received two complaints from members of the public that the phrase breached the Portman Group’s alcohol marketing code rule 3.2, which says a drink’s promotional material must not have a particular appeal to under-18s. The panel acknowledged the product was intended to be ironic, but also noted the dictionary definition of the term "girl" is a "female child" and said the term was open to misinterpretation. John Timothy, secretary to the Independent Complaints Panel, said: "The ruling by the Panel sets an important precedent around the use of the terms "girl" and "boy" on alcohol labels. While we recognise the distinct purpose of the campaign by BrewDog was to draw attention to an important social issue, producers still need to make sure that there is no way that their products could be misinterpreted as appealing to children. If in doubt we can offer free advice and guidance to prevent issues arising before products reach the shelf." 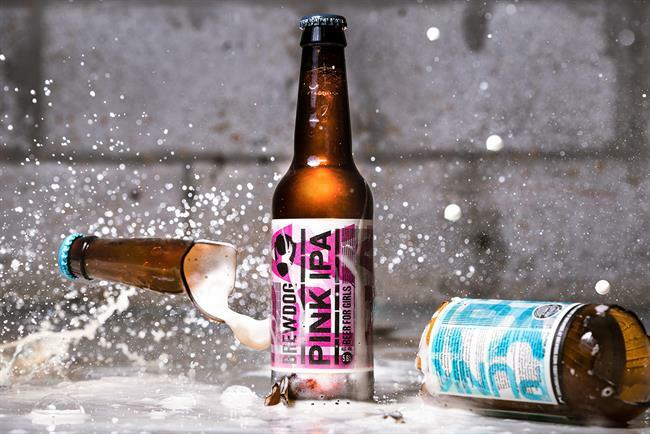 Brewdog is not a member of the Portman Group and has previously called it "a gloomy gaggle of killjoy jobsworths, funded by navel-gazing international drinks giants". It issued this statement in response to the ruling: "As a one-off campaign aimed squarely at satirising gender stereotypes on International Women’s Day, we’re comfortable it was no more aimed at underage drinkers than it was genuinely targeted at women. We’re as bothered about this Portman Group ruling as we are any other – that is, not at all."